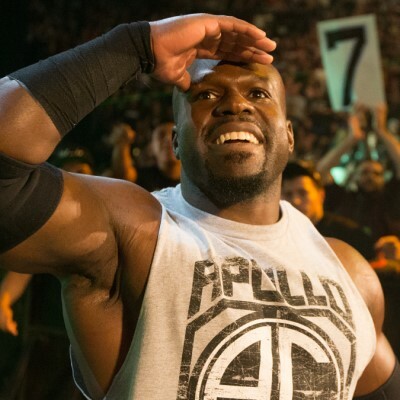 As noted, WWE changed Apollo Crews' name to just Apollo on their roster section at WWE.com. His name on Twitter also reflects this change. WWE had recently aired an angle with Titus Worldwide creating the "Crews Can't Lose" catchphrase for him. Shortening names is nothing new in WWE, as Elias (Samson), Big E (Langston), (Antonio) Cesaro, (Adrian) Neville, (Alexander) Rusev and many others are now billed differently than when they were first introduced. The names are usually changed because Vince McMahon feels that they sound better shortened. However, there appears to be another reason for this change. Daniel Wood of Sportskeeda is reporting that WWE confirmed in an email that the change was done due to the tragic high school shooting last Wednesday in Parkland, Florida. The gunman, 19 year-old Nikolas Cruz, killed 17 students and teachers with an AR-15 rifle. WWE apparently wanted to avoid any allusion to Cruz, despite the spelling being different, and the decision was made by Vince McMahon to drop Apollo's last name.